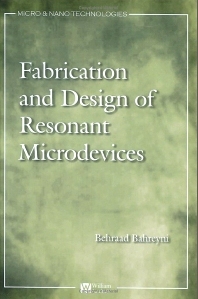 This book discusses the main issues of fabrication and design, and applications of micromachined resonant devices, including techniques commonly used for processing the output signal of resonant micro-electro-mechanical systems (MEMS). Concepts of resonance are introduced, with an overview of fabrication techniques for micromachined devices – important to understand as design options will depend on how the device will be fabricated. Also explained: excitation and signal detection methods; an analytic model of device behavior (a valuable design tool); numerical simulation techniques; issues of damping and noise for resonant MEMS; electronic interfacing; packaging issues; and numerous examples of resonant MEMS from academia and industry.